When it comes to ROI, nothing beats email. Yes, it's been around forever. It's the oldest form of internet marketing. People say it's a dinosaur. But email marketing statistics prove email rakes in more customer dollars than any other digital communications strategy - about four times more. And despite years of doomsday predictions that email marketing would finally get crushed by social media, text messaging, or apps, email is still outperforming them all. E-commerce brands recognize the power of email marketing campaigns, and 205 billion emails are flying back and forth across the world every day. But there are so many email marketers out there sending promotional emails to client lists that most probably overlap with yours. How can your emails stand out, get opened, and bring customers to your site or Amazon page? 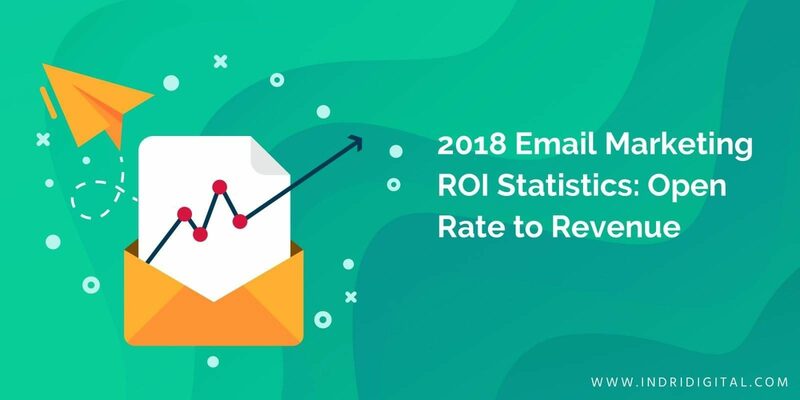 Let's dig into the email marketing facts of 2018. Email is a high volume communication pipeline. According to Statista, about 3.7 billion people around the world use email. The ubiquity of mobile devices is doing nothing to diminish people's reliance on email communications, either. Research tells us that 20-75% of email opens happen on mobile, and 80% of email users will delete an email not optimized for mobile. Neither is email dying among young users. Despite many Gen Z college students claiming to believe that email is an old-fashioned communication system, 85% of the post-1997 generation has an email account. Even in 2018, they send emails, they use mobile email, and this will not change in the foreseeable future. They mostly use it for personal communication and to receive promotional emails from companies they care about. Most Gen Zers say they believe they will ramp up their use of email when they enter the business world. With so many chat apps, social media platforms, and voice-to-voice technology options, why is email still garnering the lion's share of the communication market? Why do people still use email at a personal level even more than at a b2b level? The answer may lie in its simplicity. Fully 86% of professionals prefer email because it's opt-in, segmented, and not dependent on being part of a single, high-information volume social media platform. What copy gets the highest open rates and CTRs? With so many emails whizzing around in cyberspace, how can you make sure yours get opened and clicked through? A good email open rate varies by industry. If you are using a system such as MailChimp, the analytics dashboard should let you know how your numbers stack up against your industry's average. Wherever you rank, you can always improve your open rate - and consequently your ROI. Craft an eye-catching subject line. After "sender name," the subject line determines more clicks than any other piece of your email. Grab your reader's attention by using the recipient's name, including an emoji, and testing alternate subject lines. Write valuable copy. Nothing keeps customers opening - and reading - your emails like providing useful information, coupons, or educational content. Make your emails are worth your readers' time. Rely on transactional emails. They receive eight times as many opens as regular marketing emails. Hiring a professional email copywriter to craft tight, meaningful email content can pay off big by ramping up open rates and CTRs and reducing unsubscribe numbers. This could benefit your email marketing strategy a lot in the long term, help you gain more email subscribers and increase your engagement rates. What gets emails deleted in 2018? Users receive so much email that much of it is bound to get sent to the trash can unread. What are email characteristics that signal to a user that this is a piece for the round file? Unread emails come from the wrong person. Readers need to recognize and trust the sender, especially now when cybersecurity is a top concern for many internet users. When you start an email campaign, it doesn't hurt to test to A/B test a man's name and a woman's name to see which gets the higher open rate. Stick with what your customers like. Any email not optimized for mobile devices is almost sure to get canned by the smartphone generation. People just don't want to have to read or watch your content on a desktop. Email marketers should already be aware that click-through rates, as well as conversion rates, see a serious drop when email users get content that is not optimized for their screen. Finally, lacking a graphic, offer, or personal message can get your email deleted. Readers enjoy a mix of text and images, want to receive something of value, and like to believe that you are anticipating their unique needs. Adjust your marketing strategy to give them at least one of those three in order to keep them opening your emails. Email list segmentation and personalized emailing were the most effective email strategies of 2017, and most marketers consider email list segmentation to be the most effective personalization tactic for email marketing. A survey of MailChimp users found that segmentation increased open rates by 14.37% and decreased unsubscribe rates by 8.98%. Use demographics, purchase history, or browsing history. Provide a series of welcome emails to new subscribers. Segment by activity, giving inactive subscribers a reason to re-engage. According to Martech Advisor, adding videos to your email can increase click rates by 300%. Video is a powerful, immersive, and very popular communication platform in 2018, so why not include it in the marketing tool that gives you the best conversion rates? It's not easy to do well, however. You don't want to overdo videos so that your email subscribers find them tiresome or boring. Neither do you want to send out a video so large your readers have to wait while it loads. They'll click away rather than do that. Instead, create an eye-catching first frame, test your email ideas, and be sure to preview everything that goes out. If using video is not practical for your brand, you can try a GIF, animation, or cinemagraph for many of the same benefits as video. Try it, and compare your email marketing statistics with another email campaign that didn't include a video. Personalization is still the most prominent buzzword in email marketing and deservedly so. A personalized email campaign will rake in more results than a set-it-and-forget-it strategy. Personalization in the email body enjoys an open rate of 29.95% and a click-through rate of 5.03% compared to non-personalized, plain text emails. In the past, personalization meant using the recipient's name in the subject line and email salutation. Now, it means tailoring your message to your recipient. For example, you can provide at least three recommendations based on their purchase history or use location-specific imagery to enhance your text. Email marketing's average ROI is 3800% according to SalesForce. That means every dollar invested brings in $38. Email's median ROI of 122% stands more than four times higher than social media, direct mail, or paid search. Perhaps the best thing about email is that it can produce that same high ROI for every brand … even a brand that's marketing on a shoestring. Email marketing is not dead, not even close. It is growing and bringing in more email clients if done right. Contact us online or at (603-879-9996) to talk about how we can help you improve your email stats click-through and conversion rates and in 2018, 2019 and beyond.